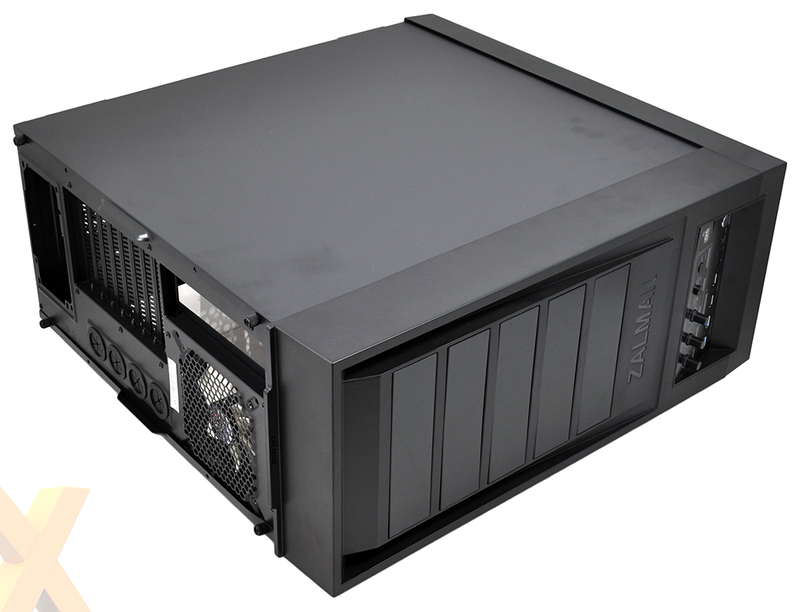 Remember the 'Auto Heat Ventilation' concept being teased by Zalman back at CES 2014? 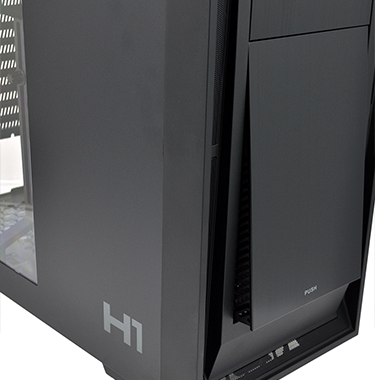 Well, it's now ready for retail and arrives as part of a new full-tower chassis dubbed the H1. 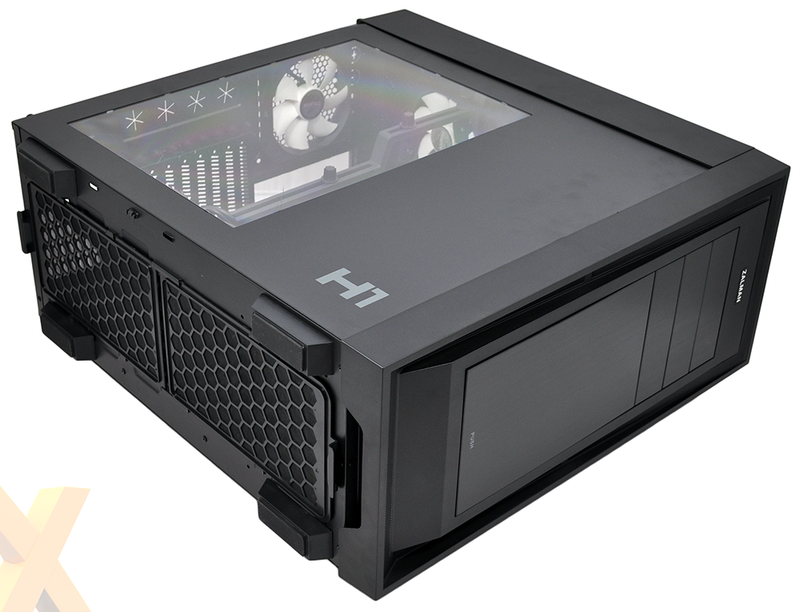 Priced at £99.99, the H1 is designed to offer system builders something a little different and is described by the manufacturer as a "luxurious case for high-end users." The something different is of course Auto Heat Ventilation, or AHV for short, which sees vents across the top of the chassis open automatically when a predefined temperature is reached. Race-car-like moving parts on a PC case? Zalman knows its target audience, though the H1 thankfully isn't as ostentatious as you might think. 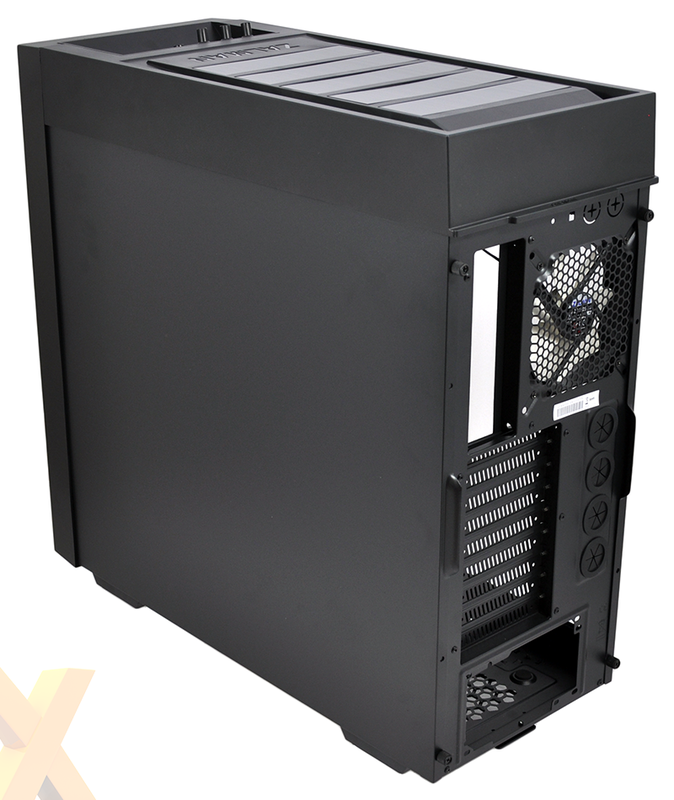 Finished entirely in black, the case can almost be considered sleek when all vents are closed, and though it's marketed as a full-tower solution, the 551mm x 237mm x 569mm dimensions aren't excessive. First impressions are favourable, but it's on closer inspection that you begin to realise that the H1 isn't quite as luxurious as it might have been. The front and top panels are largely plastic, giving the overall case a lightweight feel, and the black finish isn't as even as we'd expect: the steel and plastic elements are subtly different shades. 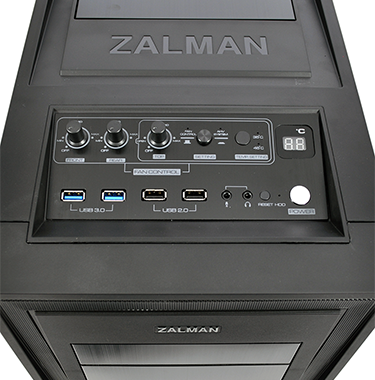 Higher-grade materials would no doubt have raised overall cost, but Zalman, like many other manufacturers, is keen to keep pricing below the £100 mark. However, the liberal use of plastic hasn't done the H1's exterior aesthetic any favours. The front and top sections look particularly thick - like a monitor with an oversized bezel - and as a consequence the case comes across as multiple separate parts as opposed to one solid unit. The top panel, in particular, looks as though it's an add-on. 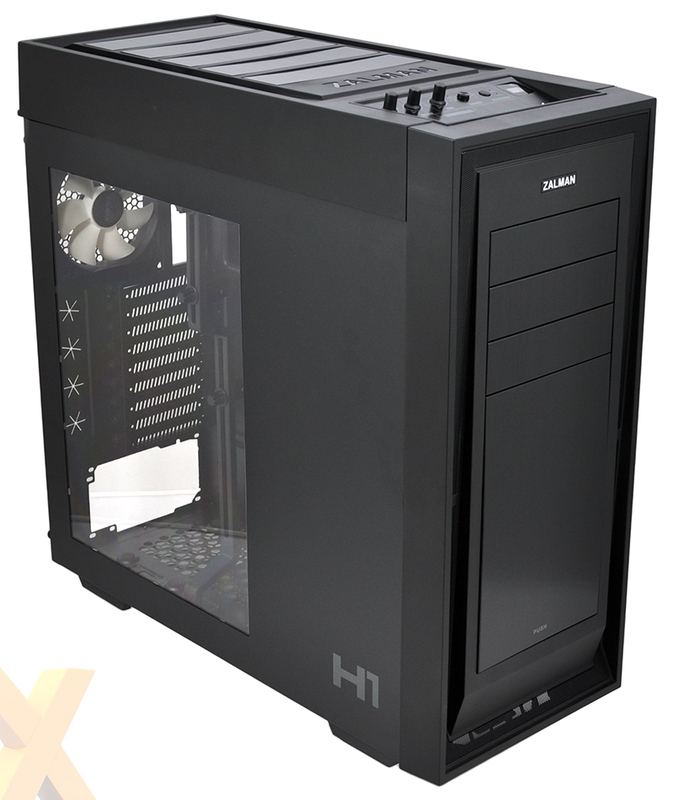 Breaking up the sea of black, Zalman has a well-sized side window that sits flush in the side panel, and we quite like the minimalist H1 branding. The front panel, too, is kept smart with flush optical-bay covers, a push-to-open vent for the front fan and a mesh border that permits airflow when the vent is closed. Moving parts and configurable cooling are the H1's key selling points. Control of these functions is made available via an elaborate-looking top I/O panel. The bottom half of the panel covers the basics with four USB ports (two 3.0), headset and microphone jacks, as well as power and reset buttons alongside a small HDD activity LED. The upper row is where it gets interesting. Zalman provides independent speed control for the front, rear and top fans, with smooth dials making it easy to find a preferred speed, or indeed turn the fan(s) off completely. 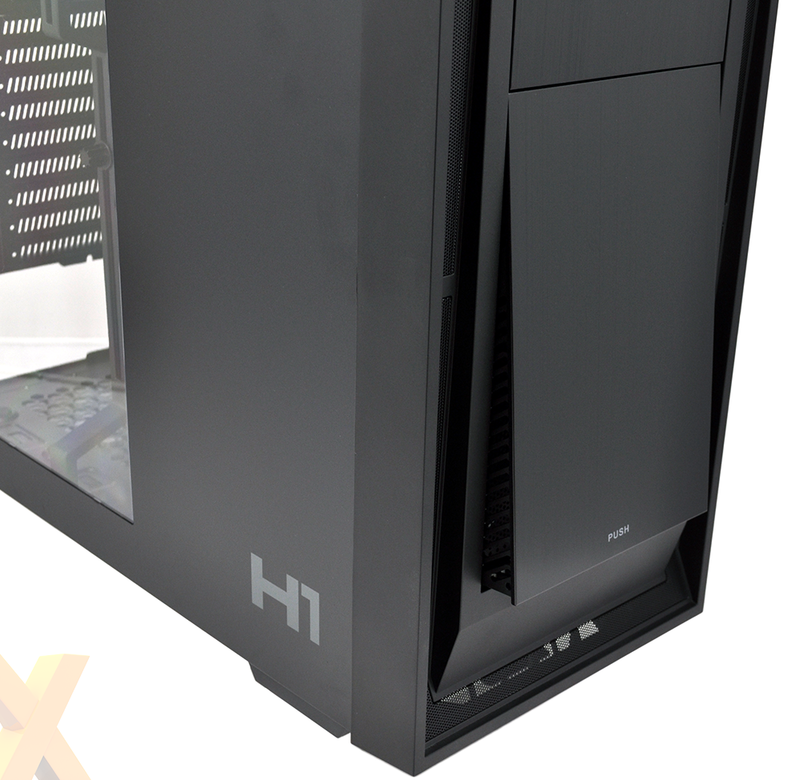 That would usually be enough to satiate most users' requirements, but the H1 takes it a step further with the AHV system. Turn it on and the top vents can be configured to automatically open when internal temperature reaches either 35ºC or 45ºC. 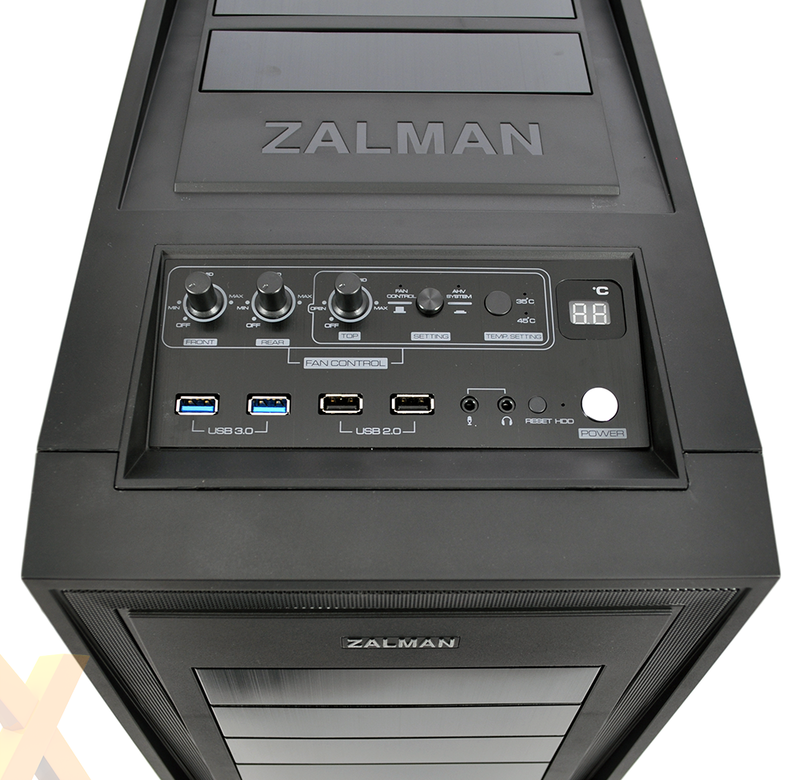 You can see the vents in action in Zalman's promotional video, and the whole mechanism works surprisingly well. Temperature is defined by a wired internal probe that can be located wherever you choose (we find it works well near a GPU), and the I/O panel's temperature display comes in handy if you like to keep a close eye on heat build-up.